H.V. Jagadish has been appointed director of the Michigan Institute for Data Science (MIDAS), effective February 15, 2019. 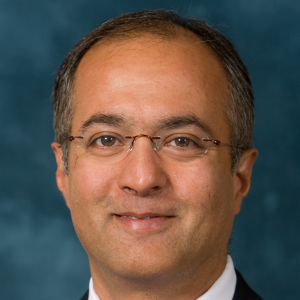 Jagadish, the Bernard A. Galler Collegiate Professor of Electrical Engineering and Computer Science at the University of Michigan, was one of the initiators of an earlier concept of a data science initiative on campus. With support from all academic units and the Institute for Social Research, the Office of the Provost and Office of the Vice President for Research, MIDAS was established in 2015 as part of the university-wide Data Science Initiative to promote interdisciplinary collaboration in data science and education. Jagadish replaces MIDAS co-directors Brian Athey and Alfred Hero, who completed their leadership appointments in December 2018. MIDAS has built a cohort of 26 active core faculty members and more than 200 affiliated faculty members who span all three U-M campuses. Institute funding has catalyzed several multidisciplinary research projects in health, transportation, learning analytics, social sciences and the arts, many of which have generated significant external funding. MIDAS also plays a key role in establishing new educational opportunities, such as the graduate certificate in data science, and provides additional support for student groups, including one team that used data science to help address the Flint water crisis. As director, Jagadish aims to expand the institute’s research focus and strengthen its partnerships with industry. Jagadish joined U-M in 1999. He previously led the Database Research Department at AT&T Labs. His research, which focuses on information management, has resulted in more than 200 journal articles and 37 patents. Jagadish is a fellow of the Association for Computing Machinery and the American Association for the Advancement of Science, and he served nine years on the Computing Research Association board.